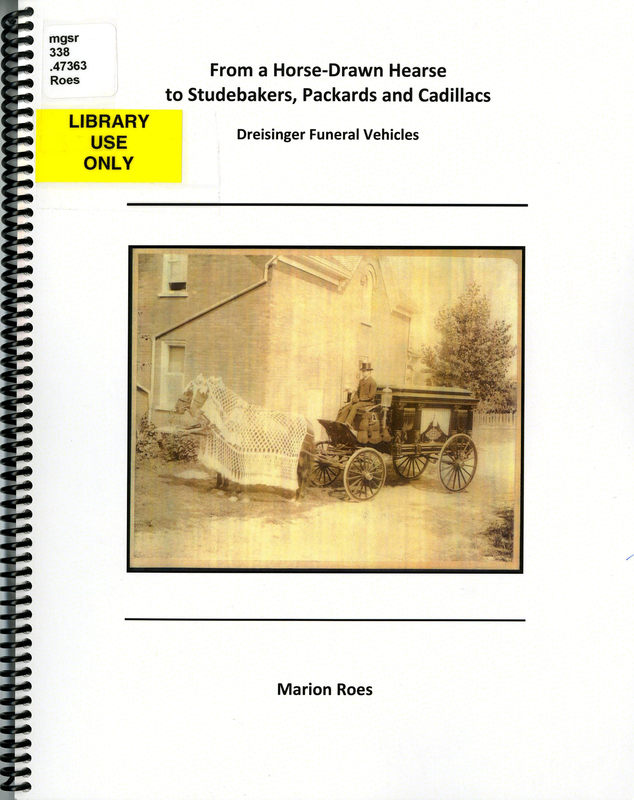 We’ve recently added a copy of Marion Roes’ book, “From a Horse-Drawn Hearse to Studebakers, Packards and Cadillacs: Dreisinger Funeral Home Vehicles” to the Grace Schmidt Room (GSR) collection. 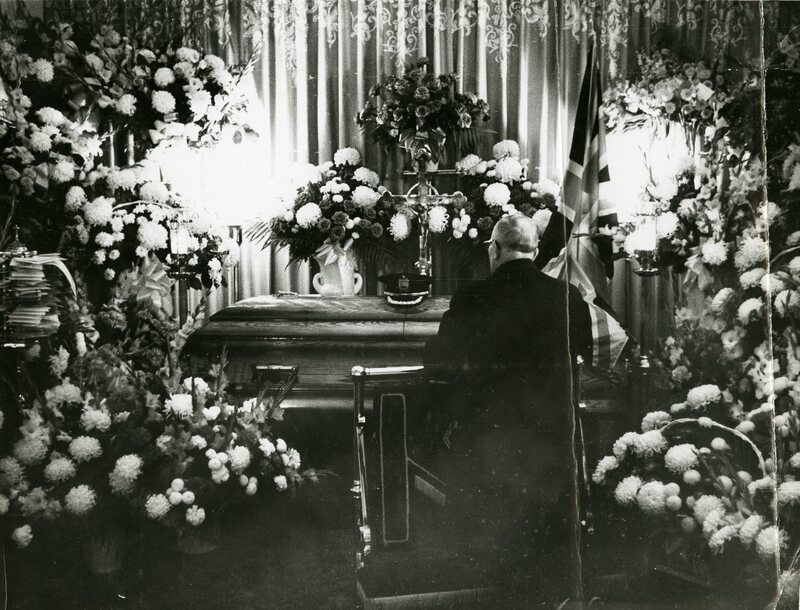 Marion, who is the past-president of the Waterloo Historical Society, has written a delightful and informative book about the evolution of funeral service vehicles belonging to the Dreisinger Funeral home in Elmira. 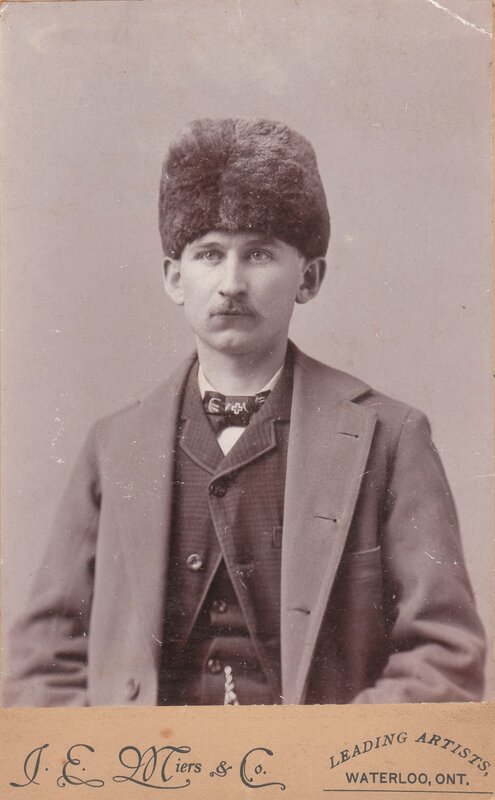 Part family, local and business history, the book provides identification and history of vehicles, along with chronicling the history of the funeral home, which Marion’s great-grandfather, Christian (known as ‘Christ’) Dreisinger started in 1905, along with a furniture store. Each vehicle identification is annotated with year, photo type, location, and financial record data, such as invoices, ledger entries and financial statements. The financial record data is interesting as it points to other Elmira and Waterloo County businesses operating in the same time frame. A special feature were the funeral vehicles being used for weddings and other events. While I had never considered that a funeral home might rent out its more luxurious sedans for hire, the cross-use of vehicles made perfect sense. Why not travel to and from any of life’s important events in style? You can find Marion’s book in the GSR collection.